Social movements and popular struggle are a central part of today's world, but often neglected or misunderstood by media commentary as well as experts in other fields. In an age when struggles over climate change, women's rights, austerity politics, racism, warfare and surveillance are central to the future of our societies, we urgently need to understand social movements. 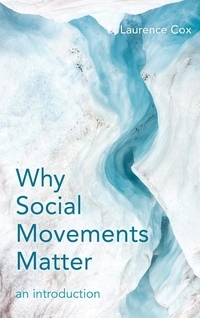 Accessible, comprehensive and grounded in deep scholarship, Why Social Movements Matter explains social movements for a general educated readership, those interested in progressive politics and scholars and students in other fields. It shows how much social movements are part of our everyday lives, and how in many ways they have shaped the world we live in over centuries. It explores the relationship between social movements and the left, how movements develop and change, the complex relationship between movements and intellectual life, and delivers a powerful argument for rethinking how the social world is constructed. Drawing on three decades of experience, Why Social Movements Matter shows the real space for hope in a contested world.